Find out why we were awarded an A+ rating by the BBB! 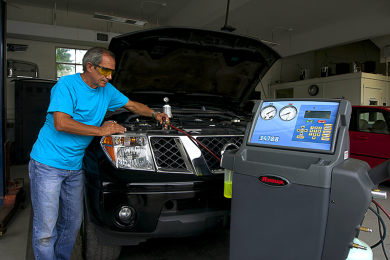 Bring your vehicle in for preventative auto maintenance. 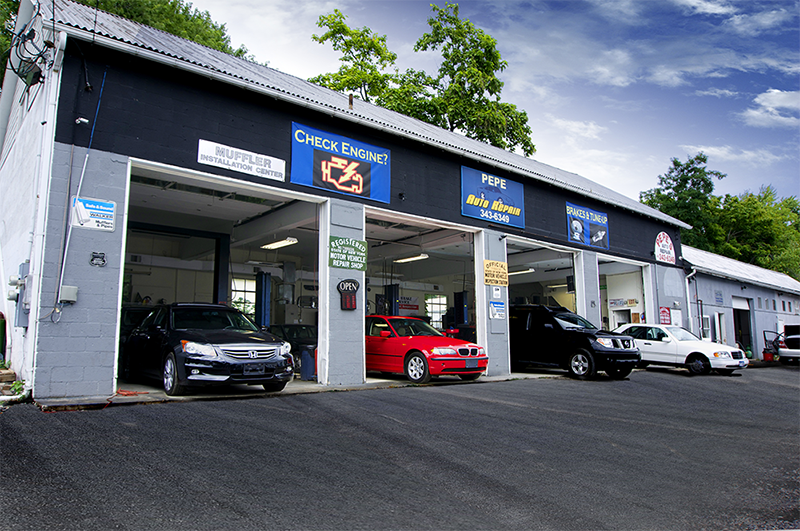 Pepe's Auto Repair is one of the leading auto repair shops in Orange County, NY. Our dedication to honest, high quality auto care and exceptional customer service has helped us gain the reputation we are known for today! We treat every vehicle with the same care and respect as we treat our own. 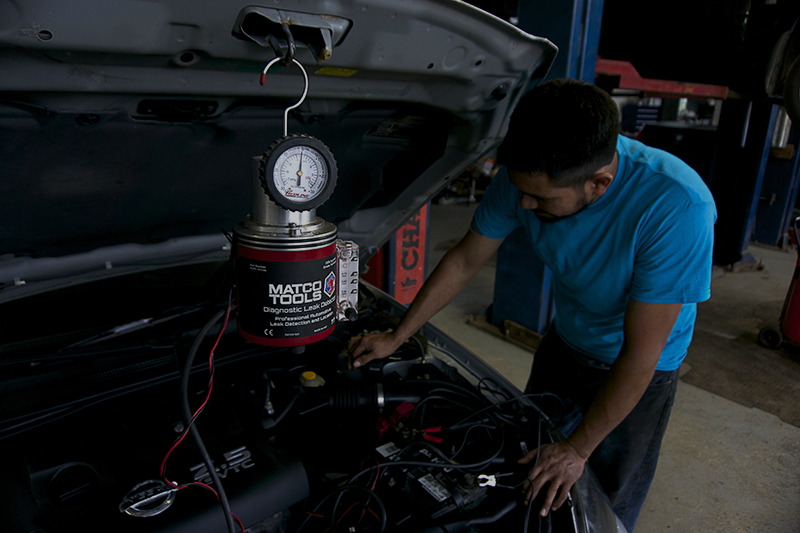 Our certified mechanics are experienced with all vehicle makes and models. We use only the highest quality car parts as well as the best modern car service tools and equipment. We are constantly complimented by our customers on our superior car service and customer service which is why we are A+ accredited by the BBB! Nosotros en Pepe’s apreciamos la diversidad de todos nuestros clientes y valoramos a nuestra comunidad hispana. Ofrecemos servicio professional en Espanol e Ingles!. Queremos que cuando usted venga a visitarnos se sienta comodo de que su auto esta en buenas manos. Nos gusta saber que nuestros clientes estan contentos con los servicios que ofrecemos y estamos agradecidos que nos escoja como su estacion de servicio automotriz preferida. Pepe's Auto Repair shop offers a full range of car maintenance and auto repair services, as well as towing and roadside assistance, and car insurance photo inspections. 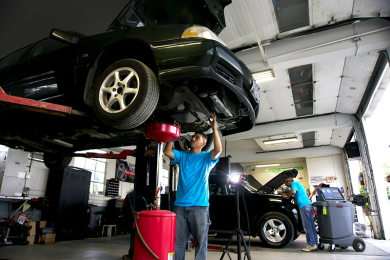 Our expert mechanics are qualified to handle all cars, SUVS, vans, and light trucks. "Friendly service and the best place around. I take all of my families cars there for all maintenance and inspections. Best prices and the best service. I highly recommend taking your car there!" "Great service! I brought my car in to get my brakes changed. I also had a noise coming from my engine and they fixed everything in a timely matter for a reasonable price. Very friendly service. Will be coming back!! " "Great Repair shop! Repairs are always done fast and very reasonable rates. Highly recommended for anyone needing work, maintenance, or inspections"
"Good quality service, car was ready when promised. Very good prices. I Would highly recommend for your auto repair needs." 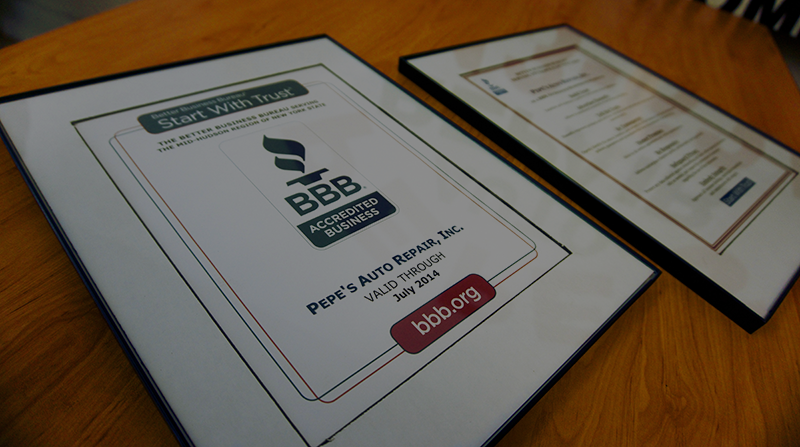 "At Pepe's, we work as a family, to provide our customers the best possible service in all their automobile maintenance, repair and needs as they are part of our own." "En Pepe’s trabajamos como familia y consideramos nuestros clientes uno mas de nosotros ofreciendoles el major servicio al cliente possible en todas sus necesidades automotriz." Pepe's Auto Repair offers a full range of mechanic services at competitive prices with the best customer service in Orange County, NY. Our superior quality is known throughout the city of Middletown, NY, as well as the surrounding areas of Newburgh, NY and Port Jervis, NY. However, our excellent auto repair services are not limited to our immediate area, we have had the pleasure to serve customers from all over the Hudson Valley including Monroe, NY, Chester, NY, and Goshen, NY. Bring your car in and see why we attract customers from areas as far away as Monticello, NY, and Warwick, NY.